The 2017 Vendée Globe round-the-world sailing race is drawing to a close with the first sailors crossing the finish line yesterday (January 19). It has been widely hailed as a classic and a large part of this was the blistering pace of the winner Banque Populaire. This 18.28 metre CDK foiling monohull, flying North 3Di sails, was skippered by Musto ambassador Armel Le Cléac’h, who broke the course record by sailing 24,500 nautical miles in 74 days, 3 hours, 35 minutes and 46 seconds. The 2017 Vendée Globe round-the-world sailing race is drawing to a close with the first sailors crossing the finish line yesterday (January 19). It has been widely hailed as a classic and a large part of this was the blistering pace of the winner Banque Populaire. This 18.28 metre CDK foiling monohull, flying North 3Di sails, was skippered by Musto ambassador Armel Le Cléac’h, who broke the course record by sailing 24,500 nautical miles in 74 days, 3 hours, 35 minutes and 46 seconds. Hopes were high for British entry Hugo Boss, skippered by Alex Thomson, and although the overall victory proved elusive, this Green Marine built racer did break the record for furthest distance sailed in 24 hours. 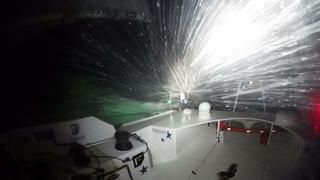 Between 0700 on January 15 and 0700 on January 16, Hugo Boss covered 536.81 miles at an average speed of 22.36 knots to break François Gabart’s record, which had stood for four years. The British sailor is perhaps best known for his spectacular sailing stunt videos, which have included climbing the mast and keel of his racing yacht. Hopes were high for British entry Hugo Boss, skippered by Alex Thomson, and although the overall victory proved elusive, this Green Marine built racer did break the record for furthest distance sailed in 24 hours. 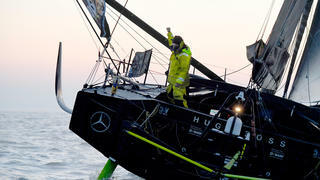 Between 0700 on January 15 and 0700 on January 16, Hugo Boss covered 536.81 miles at an average speed of 22.36 knots to break François Gabart’s record, which had stood for four years. The British sailor is perhaps best known for his spectacular sailing stunt videos, which have included climbing the mast and keel of his racing yacht. 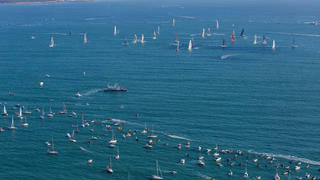 The race got underway on November 6, with a huge fleet departing from the French port of Les Sables d'Olonne. The 29 racing yachts were accompanied by dozens of local spectator boats who turned out for the departure. Despite the intensely gruelling nature of the Vendée Globe, this year’s roster of skippers was evenly made up of veterans and rookies. The race got underway on November 6, with a huge fleet departing from the French port of Les Sables d'Olonne. The 29 racing yachts were accompanied by dozens of local spectator boats who turned out for the departure. Despite the intensely gruelling nature of the Vendée Globe, this year’s roster of skippers was evenly made up of veterans and rookies. Of course one of the big appeals of the Vendée Globe is the chance to see some of the world’s most spectacular locations, as Cape Horn is always a highlight. In this photo, taken on January 16, the historic racing yacht La Fabrique (ex-Superbigou) tackles the notorious cape with Swiss skipper Alan Roura at the helm. First launched in 2000, La Fabrique was built by former Vendée Globe racer Bernard Stamm in his own back garden. Of course one of the big appeals of the Vendée Globe is the chance to see some of the world’s most spectacular locations, as Cape Horn is always a highlight. 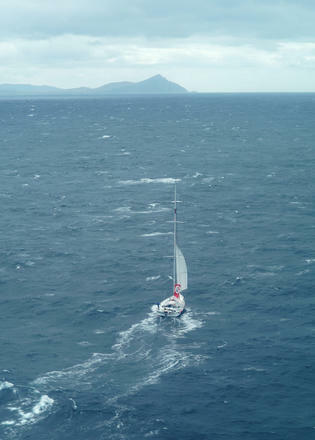 In this photo, taken on January 16, the historic racing yacht La Fabrique (ex-Superbigou) tackles the notorious cape with Swiss skipper Alan Roura at the helm. First launched in 2000, La Fabrique was built by former Vendée Globe racer Bernard Stamm in his own back garden. 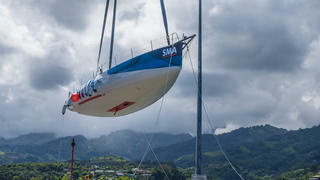 This year’s Vendée Globe was not without its upsets, however, with previous winner SMA (ex-Macif) being forced to retire. Her skipper, 34-year-old Frenchman Paul Meilhat, withdrew after suffering keel problems off Tahiti, however this unfortunate turn of events did give him the opportunity to mingle with the locals and explore the remote French Polynesian island.